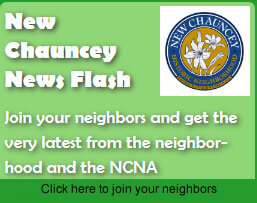 New Chauncey Came Out in Style! Our 6th Annual NCNA Soup ‘n Dance was held at the Morton Community Center in West Lafayette and the attendance was great. Tami Hammack once again organized the event and did a tremendous job of organizing and inviting the neighborhood. Her team of recruits had the main room at the Morton Center set up and ready well before the 6 o’clock start. A big and heartfelt THANKS to Tami and her team! The food was wonderful and the dancing was a lot of fun. We had a great group of all ages who danced and enjoyed each others company. It was a really fun time for all. Barry Rubin and his fellow musicians were back and really made the event fun and kept things moving. There’s nothing like live music to listen and dance to.